It is our job to get of our funks so we can bring other people along… we can not accept negative energy around us. We all have bad days. Stuck in a funk, bummed out, just not feeling it… this was me last week. But, I realized something needed to change. I needed to deal with my A.N.T.S – Automatic Negative Thoughts. This episode isn’t about real estate, ya’ll. This is about how to be happy, how to amplify others and how to show up every day giving your absolute best. I’m going to share with you how I went from being reactive to being proactive, took control over my thoughts, flipped the switch, and regained my momentum. 2:49 – Recognizing that you’re in a funk. 6:53 – If you’re like me – ambitious, but low on willpower, you might need habit triggers. 9:35 – What are A.N.T.S… Automatic Negative Thoughts? And how do our thoughts affect how we feel physically? We can do everything to make sure we show up our best every day, but sometimes forget to care of our minds. 15:03 – Stop letting the negativity around you weigh you down. Use your energy for positivity, add value, add growth, and get excited about what you’re doing! 16:37 – Own your thoughts with affirmations for specific situations and tell your thoughts where to go. 22:32 – Future pace: Be grateful for what you have at the moment and have a vision for where you are heading. 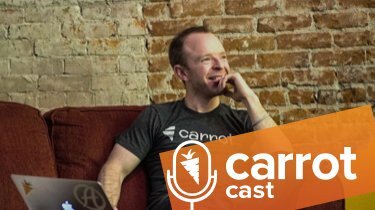 28:32 – Create a culture of energy within your business. Become a power plant for energy. What companies like Dutch Bros and Carrot are doing in rural America to make an impact on millions of people. 33:20 – Wrapping it up… We’re launching ASK CARROT! 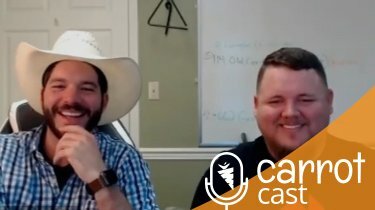 A weekly Live Q&A with Trevor. 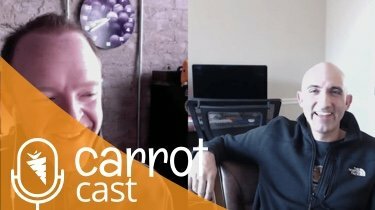 Head over to Carrot.com/ask or YouTube.com/InvestorCarrot starting February 14th at 1 PM PST to ask him anything!